Louisville Home sales increase as prices appear to bottom out. New Louisville Home Sales Numbers for October 2011 show an encouraging trend. The number of homes that closed last month increased 10.7 percent over the year before. Additionally the number of Louisville homes going under contract last month increased by 11.7 percent (see raw data below). On the negative side of this month's report, the number of days a Louisville Home sat on the market in Louisville increased 6.6 % from 90 days on average in October 2010 to 96 days in 2011. Most importantly for Louisville home owners the average price of a Louisville home slipped almost 4% between October 2010 and October 2011. 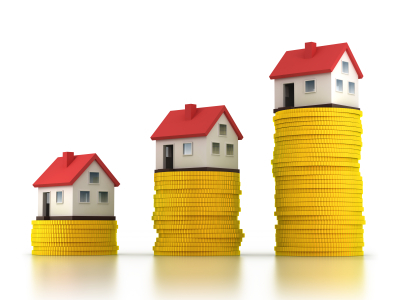 The increase in the number of homes being sold is really due to 3 factors. 1) There were fewer homes sold towards the end of 2010 because many home buyers had already purchased a home thanks to the first-time home buyer tax credit during the first quarter of 2010. 2) New Ford employees moving into the area have started to purchase homes. Granted some of those employees will have to wait to sell the home they currently own in the city they're transferring from. But there are some employees who will either rent their old home and buy here or have already sold their home. 3) The final factor is the most important one. Louisville Home sale prices have bottomed out, and buyers are starting to come back into the market. 1) Interest rates are just about as low as we've seen them, hovering between 4% and 4.25%. 2) There are media reports including the Wall Street Journal and Louisville's Courier Journal indicating that now is the time to start buying because homes prices have hit rock bottom in most parts of the country. 3) The jobs recovery will mean more people in the workforce. 4) 2012 is an election year and the party in power will pull out all stops to show a growing economy. 5) Europe seems to have settled its problems with the Greece bailout leading to the prospect of a stabilized U.S. Stock Market. As of this report there were 8,793 homes on the market in the Louisville Kentucky area. The one thing we have not seen yet, is a return to new home construction. Builders are still on the fence, waiting for signs that the economy has in fact recovered. That may take more time because until we have show continual growth and home sales, builders may be leery of investing money into a spec home that may just sit on the market. As of right now Louisville has 4 months of positive home sales growth under our belts, but we're heading into a slower time for home sales. The question is can we continue the growth over the winter. Stay tuned.